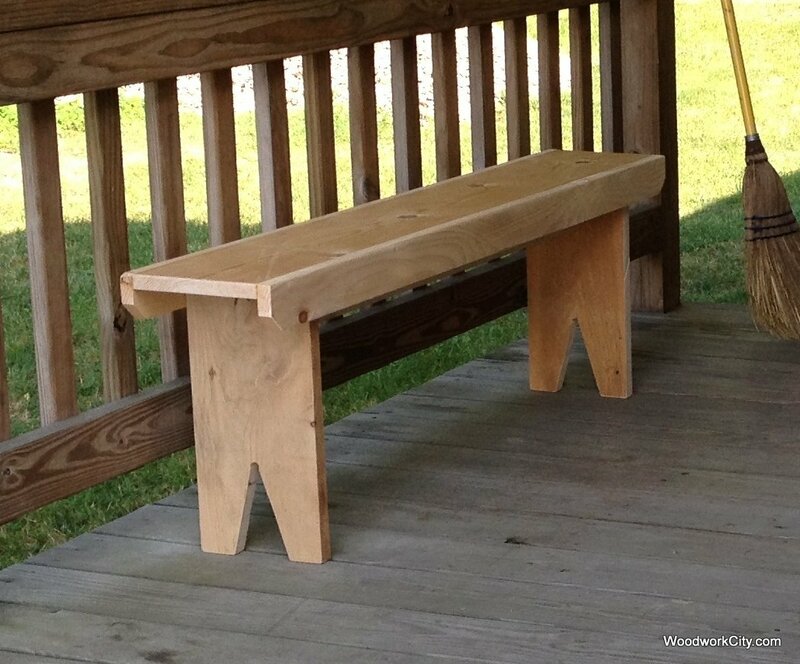 Every so often a simple woodworking plan can be the most rewarding. Do you have a lot of projects that are backed up in your garage or workshop? If so, it can be very nice to find a “gimme”. A simple project plan that you can knock out in an hour or two. In fact these are great projects to work on with your family members or children. Good luck with this simple bench plan. Get creative with some of the cutouts or apron pieces. This is where you can have some fun. 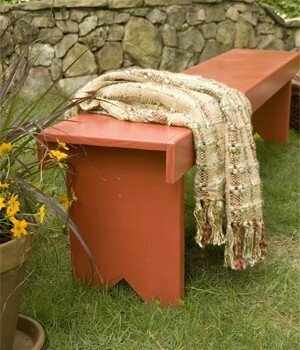 A stencil pattern on the apron can make this simple bench plan pop. I decided to build one of these simple benches this weekend. We were on our cottage deck and found ourselves sitting on coolers half of the time. Since this item is going to be painted, and partially shielded from the weather, I used a combination of wood types. The top and apron pieces were made of pine, and the vertical leg pieces were 1″ rough cut cedar (true 1″, since rough cut is prior to planing). The scale of our bench is a bit small (48″ long, 8 1/2″ wide, 16″ high), but it was needed for our tight space. 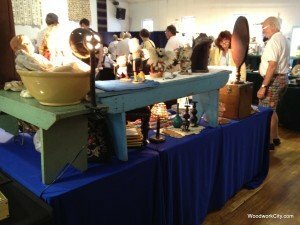 The following are examples of this style of bench as found at a local antique show. 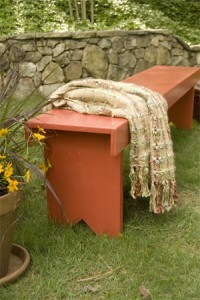 This reminded us of the simple style of the bench and how useful it can be. One of my favorite parts of this bench is that it can be used for a variety of things. 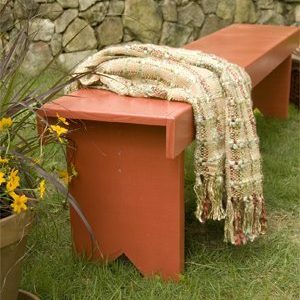 It can be used for seating, or as a work platform.